Kids create a lot of art projects in their early years of school and a lot of messes. 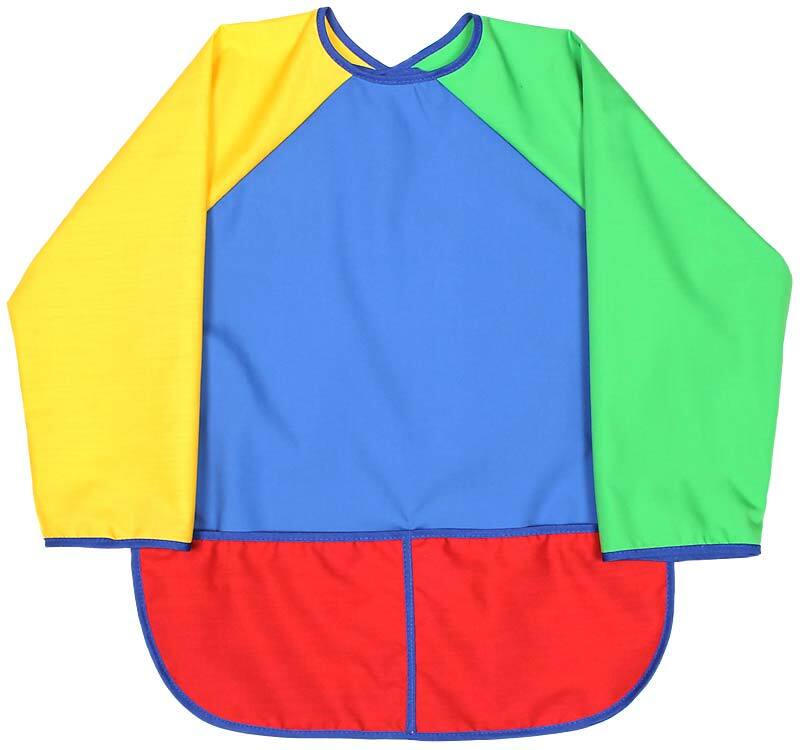 Clothes need protecting from all of these early forms of expression and kids deserve the freedom to create without any concern about staying perfectly clean. 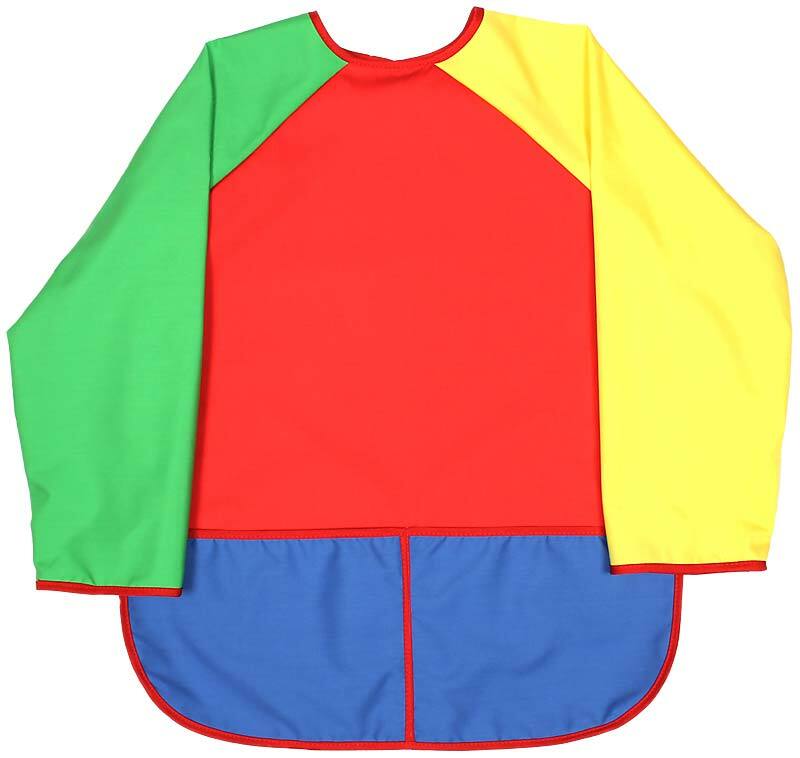 This art smock can grow with them by rolling up the sleeves in the beginning, if needed, and letting them down as the child gets taller. 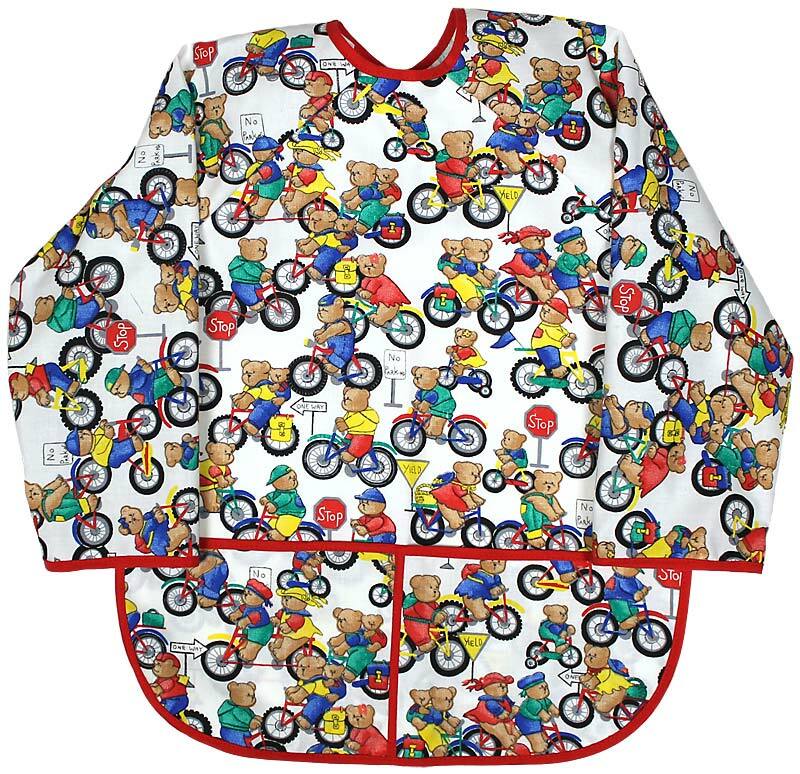 All of a child's basic protection needs and more are met in this, made in America, 100% cotton art smock with a water resistant backing. Why is it so superior? The soft fabric is nylon backed in the body only, not the sleeves, so no one will overheat and it will remain comfortable to wear. The double pocket will hold all of an artist's supplies: brushes, paint tubes, etc. 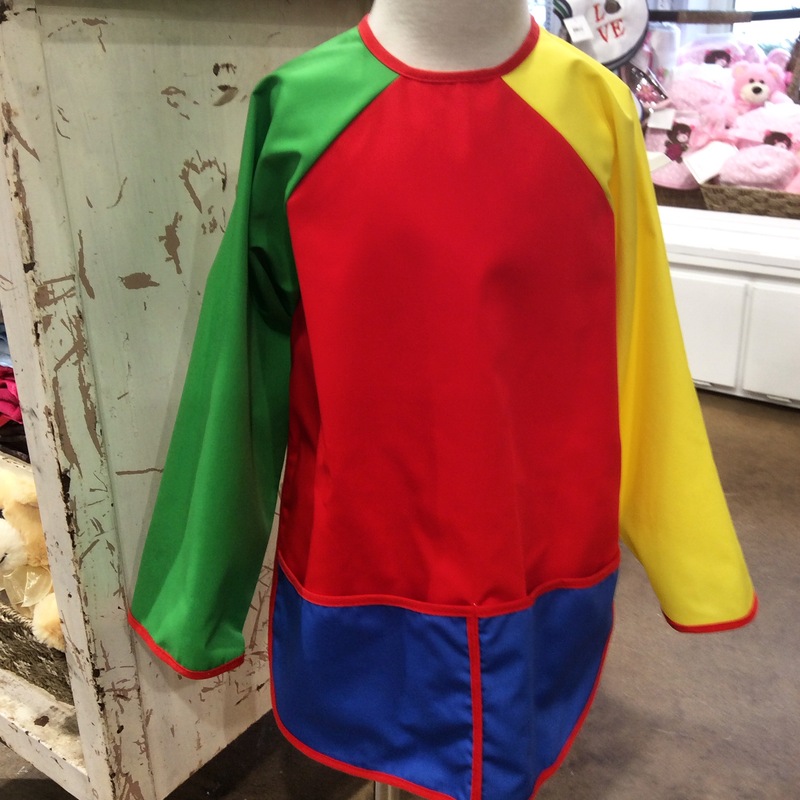 This red color block design is unisex, which is good for a girl or a boy, but don't miss the unisex royal version and the hot pink version and tangerine version for girls.